He formally accepted the honor at The Pierre in New York City, the iconic US flagship of the Taj Hotels, for the fourth consecutive year. He received the award from Preet Bharara, US Attorney for the Southern District of New York, and US Congressman Ami Bera. He was described as a role model, a trail-blazer, someone who has made history. His thank you speech was dotted with his love for his family, coupled with his easy humor and humility. He graduated from Stanford University in 1989 and Stanford Law School and Stanford Graduate School of Business in 1995. Following graduation, he served as a law clerk to Judge J. Harvie Wilkinson III of the U.S. Court of Appeals for the Fourth Circuit, as a Bristow Fellow in the Office of the U.S. Solicitor General, and as a law clerk to U.S. Supreme Court Justice Sandra Day O’Connor. In 1998, he joined the law firm O’Melveny & Myers. In November 2002, he became the first Indian American to argue before the U.S. Supreme Court. From 2002 to 2007, he served as an Assistant to the Solicitor General. In 2007 he returned to O’Melveny & Myers as a partner, later becoming chair of the firm's appellate and Supreme Court practice. 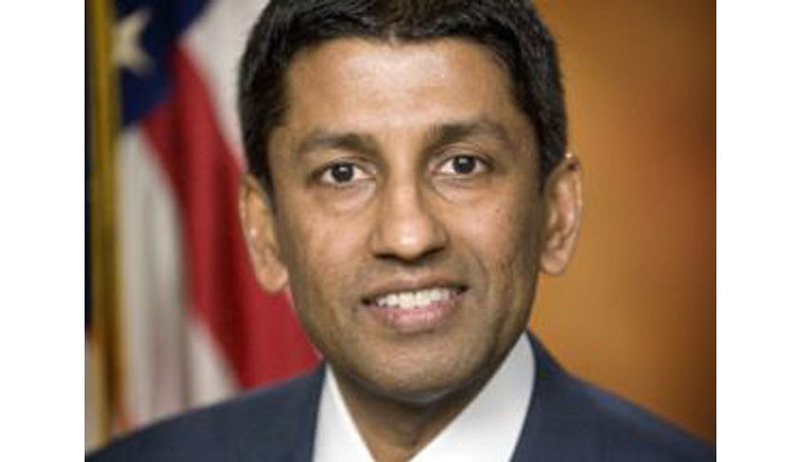 From 2011 until his appointment to the U.S. Court of Appeals, Judge Srinivasan served as the Principal Deputy Solicitor General of the United States. He has taught appellate advocacy at Harvard Law School. Srinivasan was appointed to the U.S. Circuit of Appeals in May 2013. He was nominated by President Obama to the United States Court of Appeals for the D.C. Circuit, which is often described as the second most important court in the nation. He became the first confirmation to this court in seven years, confirmed 97-0 by the U.S. Senate. Even this confirmation for the award was unanimous. These were the 11th Indian Abroad Person of the Year awards that were found to recognize Indian American achievers. Among the other recipients were Arogyaswami J Paulraj, Kumar Barve, Anuradha Bhagwati, Manu Prakash, Mallika Dutt, Deepa Iyer, Arvind Mahankali, Sathwik Karnik, Sheldon Pollock and James Ivory.